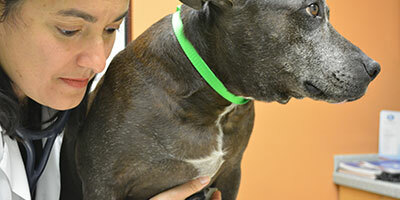 Veterinary Specialty Hospital excels at offering high quality care tailored to your pet’s needs. Our goal is to stay up to date and to provide our patients and their owners with the best posible diagnostic and treament options. Dr. Quiñones Marilucy performed an internship in medicine and veterinary surgery two years while simultaneously studying for his master's degree in "Clinical Veterinary Sciences" in "Iowa State University". Then I did a residency in veterinary surgery for three years at the same university. In 1999 he became a graduate of the "American College of Veterinary Surgeons." We aspire to offer our clients and their pets the leading edge in medical care always honoring the humane treatment you and your pet deserve. Our staff is comitted to this goal with great passion and we give our best on our day to day activities with your pets’ well being always in mind. Veterinary Specialty Hospital is our dream becoming true. It is our aim to continue growing through the interaction with our clients and patients and ongoing training in veterinary medicine. In Veterinary Specialty Hospital are to serve, offering the best care to our patients. In this section you can download the necessary forms to streamline our services. These forms will be filed in our database if any new visit our staff have a complete picture of the condition and the treatment will be given to the patient.